Volunteer Jarrett Strickland (center) speaking with students about financial literacy. 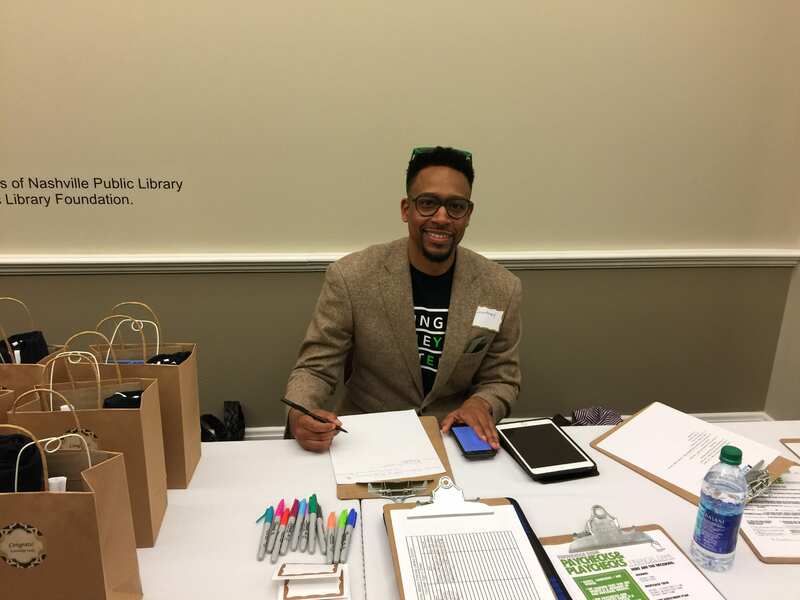 NASHVILLE, Tenn. – Knowledge Bank celebrated financial literacy month by hosting its annual Young Money Matters Summits, April 4, 2017 at the Nashville Public Library downtown location. The program, took place from 9:00 AM – 1:00 PM, educating high school students, 9th -12th graders financially and helping them achieve their financial goals. Courtney Hale, who serves as Executive Director of Knowledge Bank, believes that sound money management is a core life skill and deserves just as much attention as college preparedness, career planning and creating a healthy lifestyle. When Hale learned of Tennessee being ranked as the 38th state for the economic well-being of children he founded Knowledge Bank, a 501c3 organization committed to improving the financial literacy of youth. His organization continues to help young people learn the importance of understanding their personal finances. #MONEYFIT: where student learned core behaviors for being financially responsible which included earning potentials, creating financial plans, saving and giving. #OWNMORE: that enlightened students on the difference between asset and liability and net worth calculations. CAREER AND ENTREPRENEURSHIP PANEL: where successful professionals and business owners shared their paths to success. 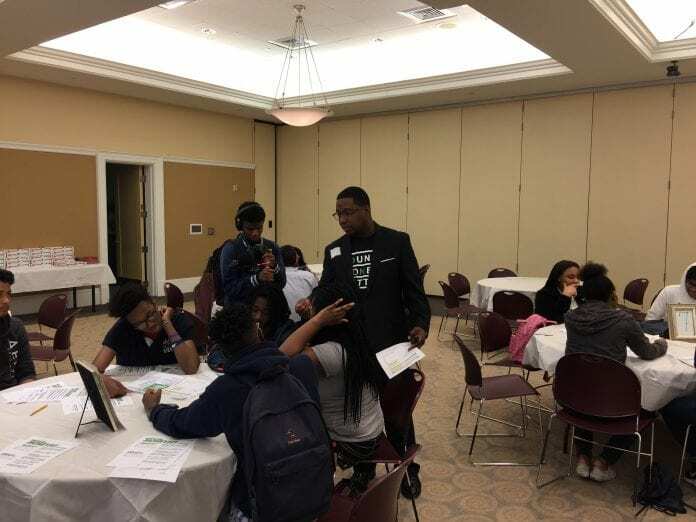 The Young Money Matters Summit also unveiled a new resource guide for all the attendees to help them create their own capability initiatives aimed at empowering, understanding, and addressing financial matters at a young age. The day ended with a fun and interactive Financial Empowerment Tournament which allowed attendees to test their knowledge in a series of financial games allowing them the opportunity to win prizes.